A range of solvents to thin products and clean equipment, spray machines for application of our paints, paint test equipment, application equipment such as brushes and rollers and finally personal protective equipment such as face masks and gloves to compliment our range of paints and coatings. Our solvents for our products are a critical part of the cleaning process either before or after application as well as thinning of the products where required. We offer a selected range of high quality Graco spray machines that can provide a professional finish for small projects right up to extended spray periods of heavy duty industrial coatings. The paint test equipment we offer helps contractors test projects before an after application to aid their applicators or resolve issues that may occur. We have a large range of competitive application tools that are preferred by the professional tradesman and are chosen specifically to compliment our paints and coatings to ensure optimum application. Finally our personal protective equipment provides mandatory safety measures to ensure safe application of our paints. 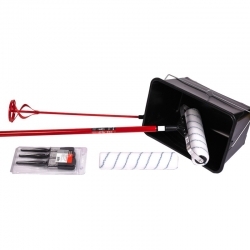 Our General Painting Application Kit provides the basics for any painting project. 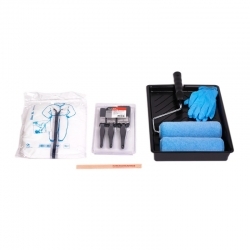 Whether it's a one off job, or you just want to make sure the right application tools get to site, our General Painting Application Kit provides an economical way of making sure you'll have what you need. 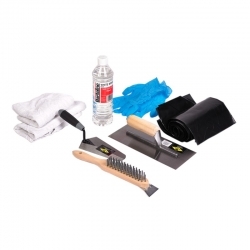 Our Repair Materials Application Kit provides everything you need to apply our repair products to floors, walls and other surfaces. It makes on site application much easier by providing everything you need to mix, prepare, apply and clean up in one handy kit. Our Floor Application Kit provides all the application equipment needed to apply conventional floor paints and coatings to a professional standard. The application of floor coatings is often crucial to their performance so it's important to use the right tools to ensure a lasting finish. 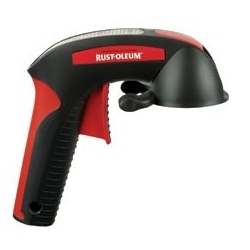 The Coating Thickness Meter easily measures all coatings on metallic substrates using the magnetic induction or eddy current principles, ensuring the correct coating thickness has been applied. The Paint Inspection Kit is an essential piece of equipment for all industrial painters, enabling them to have all the necessary test equipment to ensure the industrial paint coating is correctly applied throughout the coating process in compliance with ISO Standards. Zinsser Brush Cleaner & Restorer renews and restores used and hardened brushes in just 4 hours. It removes Zinsser B-I-N and most types of dried-on paint easily, is fast acting and does not require overnight soaking. 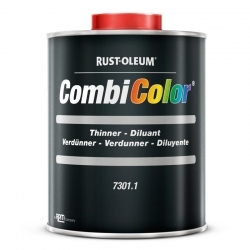 Rust-Oleum 7301 CombiColor Thinner is a special thinner for Rust-Oleum CombiColor. Although thinning of Rust-Oleum CombiColor is not necessary for spraying, if required it is advised to use Rust-Oleum 7301 CombiColor Thinner. It is also ideal for cleaning/degreasing of surfaces and equipment. Jotun Thinner No. 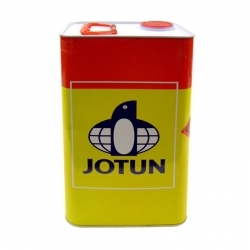 2 is a paint thinner designed to improve the flow of a range of Jotun alkyd and oil based based products. It can also be used as cleaner of pumps and tools after and before painting. Make spray painting jobs simple and comfortable with Rust-Oleum High Performance Comfort Grip® . Its ergonomic design provides maximum control when using an aerosol paint, making it easy to complete large projects. 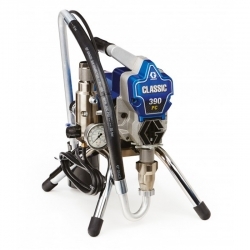 The Graco 390 Classic PC electric airless paint sprayer is an entry level, 110v stand mounted paint spray unit with a max fluid pressure of 3300psi, and capable of supporting up to a 0.0021'' spray tip. 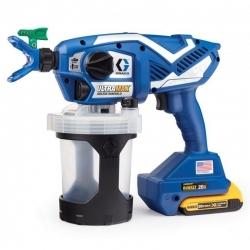 The Graco 390 has the ProConnect pump for quick and easy pump changes/maintenance. The Dewpoint Meter (H4001) includes Humidity Sensor &amp; Surface Temperature Probe enables testing for the estimation of the probability of condensation on a surface to be painted and establishing whether conditions at the job site are suitable for painting or not.